Toilet: Ek Prem Katha Box Office Prediction. Hit or Flop? Toilet: Ek Prem Katha starring Akshay Kumar and Bhumi Pednekar is the big release happening this coming Friday. 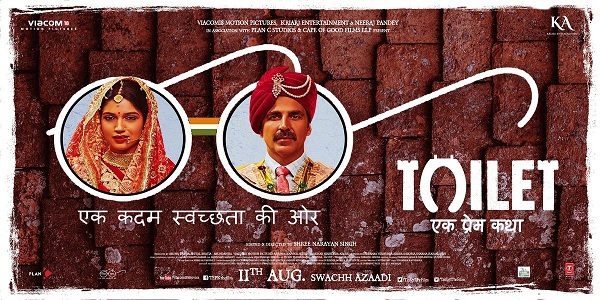 Film buzz is good as it is made on the topic of Swach Bharat Mission and is expected to open big at ticket counters. Akshay is on peak of his career right now. He has delivered a Hit with Jolly LLB 2 earlier this year and trade is expecting that he will repeat that success with Toilet again. So, whether TEPK will be a HIT or Flop? To know that let's do the box office prediction of the movie. Budget - As stated by Akshay Kumar himself, budget of TEPK is INR 18 crores (excluding P&A). Total landing cost (including P&A) will be approx INR 35 crores. Recovery from Non-Theatrical Revenue - India distribution rights are rumoured to be sold for INR 52 crores. But latest news is producer and co-producer of the film TEPK has decided to release the film on its own now. This is perhaps a very good news, considering TEPK budget is extremely controlled and film is looking good. Makers should recover around INR 20 crores from Satellite Rights. Another INR 5-7 crores from Music, Home Video and others. A total of 25-27 crores should be recovered as Non-theatrical revenue. Amount need to be recovered from Theatrical Revenue - Just around 8-10 crores needed to be recovered from India and Overseas theatrical for the makers to break even. It will easily be recovered by the film inside first 2 days. After that all will be profits. Release Screen Count - Film should get a release of 3000-3200 screens in India. This is more than enough to put big box office number in a single day. Single Day Business Potential - As TEPK is getting one of the biggest release of the year and it has potential to collect over 30+ crore nett in a Single Day with 100% ideal occupancy. First Day Collection (Friday) - TEPK being releasing on a normal Friday, anything close to 13-15 crore nett will be a superb start at box office. 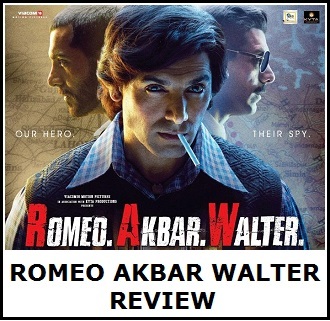 Film stars Akshay Kumar and we are hoping that it takes a double digit start. First Weekend Collection (Friday-Sunday) - A 45 crore nett in opening weekend will be a very good start at box office for TEPK. Lifetime Business - If TEPK word of mouth is decent to good, then movie has every chance of going past 110-120 crore at box office. If word of mouth is good to very good then film should cross 130 crore nett in its lifetime and may touch 150 crores or more. That will be fantastic. First Day: Expected around 13 crore nett. If accepted: 50+ crore nett. If mixed: 36-49 crore nett. If mixed: 85-125 crore nett. Our Estimate: Looking into all pre-release factors we are predicting TEPK business in the region of 125 crore nett. 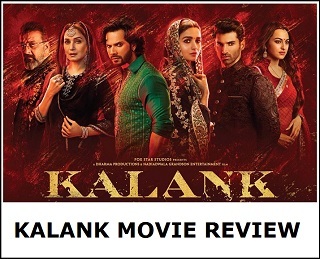 If content is good to very good then film has a good chance of touching 140 or even 150 crore nett mark. We have considered pre release buzz, current box office scenario, screen count, trailer response, song promos and Akshay Kumar star factor. Hope not only film does excellent business but outperforms our prediction to collect even more than that. Do let us know your prediction for this latest Independence Day Weekend release! What do you think whether film will collect 75, 100, 125 or 150 crore or more at box office! what about tex free effect? So far only in UP it's tax free,but can be in few more states . Going to be first bollywood blockbuster of 2017. 100 crore to pakka h Bhai.